4) When the Power LED lights in green, press the Resume/Cancel button the specified number of time(s) setting). 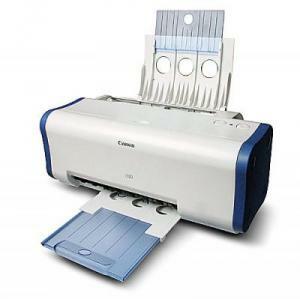 Time(s) LED indication Function Remarks 0 times Green (Power) Power off When the print head is not installed, the carriage returns and locks in the home position capped. 1 time Orange (Alarm) Service test print . 2 times Green (Power) EEPROM information print. 5 times Orange (Alarm) Destination settings After entering the destination settings mode, press the Resume/Cancel button the specified number of time(s)to select the destination. 14 times Green (Power) Left margin correction Not usedin servicing.